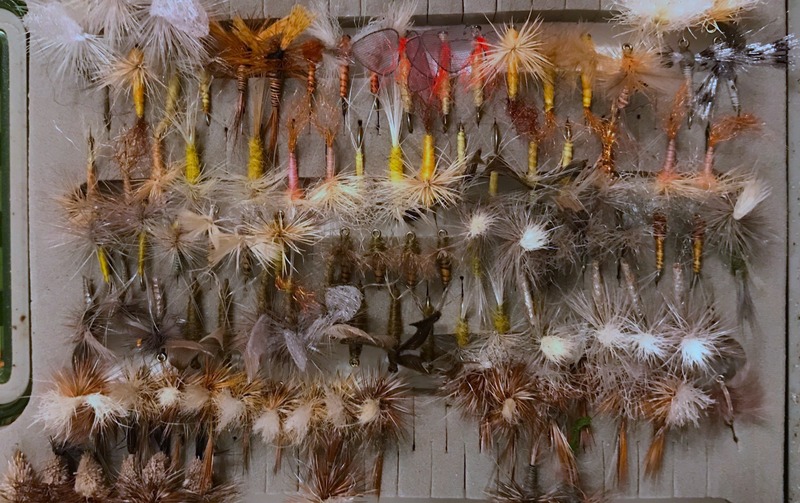 One of the best parts of fly fishing is building your perfect fly collection. This usually involves spending way too much money on tons of flies that make your box look good, even though you’ll end up choosing the same few every time you fish. Don’t get me wrong, I love this part of fly fishing, too. Walking into a fly shop and having it feel like Christmas is my idea of a great time. But for those just getting started, or just looking to save some money, it’s helpful to know which flies are absolutely necessary and which are fluff. For a western dry fly box, you don’t need to break the bank to get your box fishing-ready. With only a few patterns, you’re able to make do during the majority of situations you’ll encounter on the river. If you already have a box with variety, just make sure these patterns are always well-stocked. If you’re newer to the sport, just buy a couple of each of these and you’ll be prepared for your next fishing adventure. The Griffith’s Gnat is one of the most widely-used dry flies there is. Even though this list is for western boxes in particular, the Griffith’s Gnat is useful across the US. This simple (and very easy to tie) dry fly represents the adult stage of a midge. Considering the fly itself doesn’t exactly look much like an actual midge, there are a couple theories on what it actually looks like to fish. Some people think it appears to be an emerging midge with its shuck still attached. Others think it represents a cluster of midges, which is the explanation I hear more often. Regardless of what it’s “supposed” to look like (which fish never seem to care much about anyway), this fly works. And it works well. The Griffith’s Gnat is the fly that will often still seem to work even when nothing else is. One more huge benefit of having a midge pattern is that midges hatch year-round in many places. This means that you can still have success with a Griffith’s Gnat even when mayflies, stoneflies, and caddises are not in season. The one downside to the Griffith’s Gnat is that it can be pretty hard to see, especially in moving water. In that case, I’ll often tie it behind another dry fly, which I’ll use as an indicator. If I see a rise near my visible fly, I’ll assume it was on the gnat and set the hook. If you’re looking for an extremely versatile fly that can work in nearly any mayfly situation, look no further than the Parachute Adams. This is frequently the first fly I tie on when I fish a new area during mayfly season. It works well as a generic mayfly, so if you’re not exactly sure what’s hatching, this can be a safe bet. It works well in both still and moving water, and at various elevations. I’ll fish this fly anywhere from in the city to above treeline. The standard Adams fly can also work well, but I find that the parachute version floats better, is easier to see, and fishes just as well. I only keep a few regular Adams in my box, but have a whole mess of parachutes. 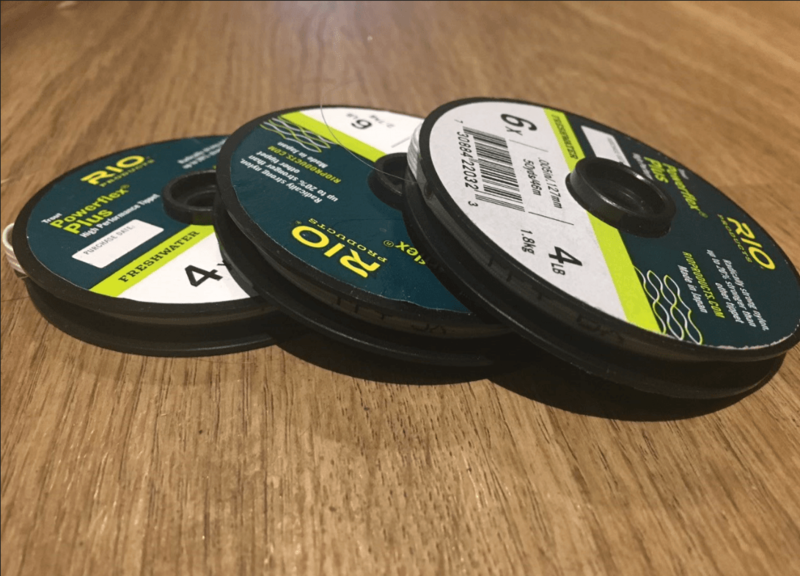 If you frequently fish mayfly hatches but don’t want to get bogged down in the various species of mayfly, this is what you need. 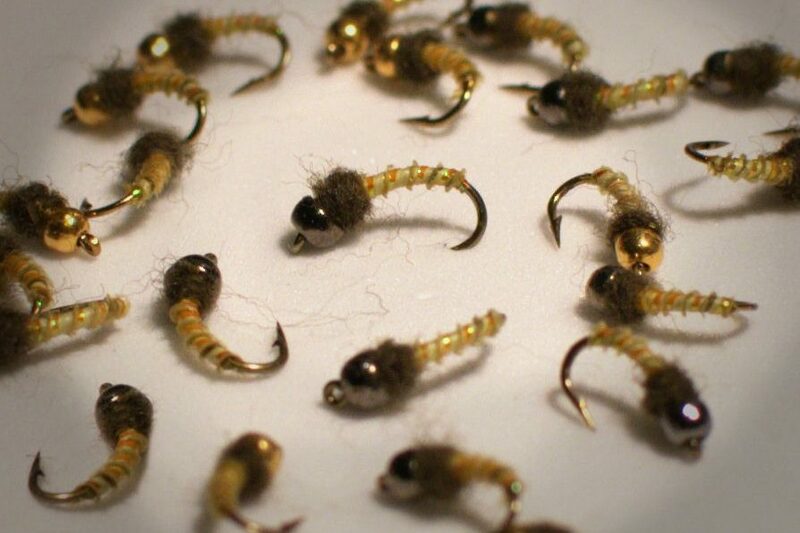 The Elkhair Caddis is a classic that’s hard to beat if you’re targeting fish during a caddis hatch. It’s very easy to see, comes in a variety of shades, and is one of the easier dries to tie yourself. Not many hatches can rival a caddis hatch on a good day. If that’s what hatching, there’s almost no point in fishing anything else. While there are numerous caddis dry fly patterns out there that work, it’s hard to beat the simplicity and effectiveness of the elkhair. The only downside I can think of is that these flies seem to get waterlogged more easily than some of the flies with more hackle. All that means is that you should be diligent about applying floatant to the fly before fishing it. Apart from that, this fly is a fish catching machine. As opposed to the previous flies listed, the Sparkle Dun is more of a style of fly than an actual specific pattern. While the standard Griffith’s Gnat nearly always looks like the photo above, the Sparkle Dun can come in a variety of colors to mimic different species. Usually fished to imitate a mayfly, it can be whatever species matches its color. The reason I’ve listed it as “your choice,” is that you can choose whichever Sparkle Dun matches the hatch you’re fishing. In late spring or early summer, you may fish a green Sparkle Dun to imitate a BWO. Once summer is in full swing, switch to a yellow or pink one to imitate a PMD. Having a few of these in your box in several colors will allow you to fish a more specific mayfly than the Parachute Adams when you actually know what’s hatching. This can be an advantage if the fish are keying in on something specific. This one gets the “of your choice” designation because even though foam terrestrials are an essential item in the box, the specific type for you might depend on where you generally fish. For example, when I’m fishing streams, big or small, I like to use something large and buggy. This could be a grasshopper or a Chernobyl Ant. These big foam flies float well on fast-moving water and can be easily seen by fish below. Even tiny fish will take these giant flies, and they do a great job of holding up a dropper fly. If alpine lakes are more your style, I’d ditch the giant foam hoppers and switch to a small beetle or ant pattern. The fish cruising the lake looking for food are rarely able to resist a juicy looking terrestrial, and there’s no need to have something super beefy on an alpine lake. The smaller flies will be able to float just fine, and unless the lake is very choppy, you shouldn’t have a problem seeing them. 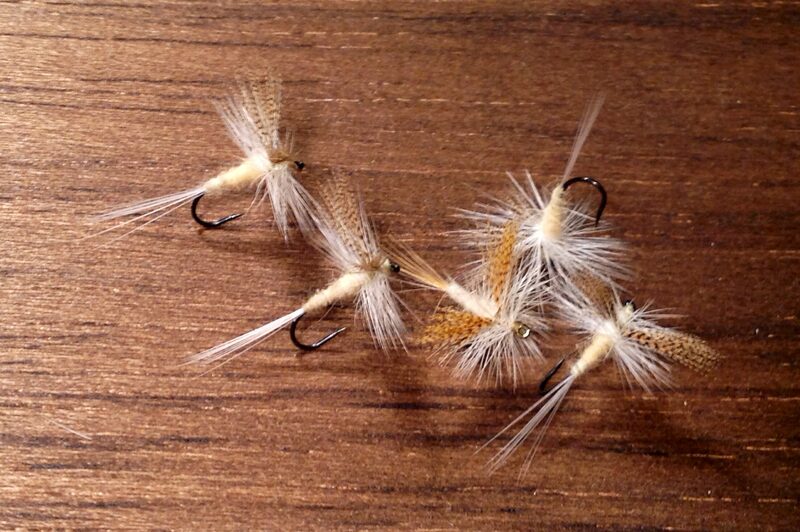 Even though these flies float well, I have found that once they get waterlogged, they’re really soaked to the bone. If I notice my beetle sinking, I’ll often just take it off and replace it with a new beetle instead of trying to dry it out. However, it’ll usually take quite a few fish to get one thoroughly waterlogged. If you could only have one fly, which would it be? I’d love to hear which flies you wouldn’t leave home without, and which ones you think are disposable. Let me know! Lovely & informative article. Just brilliant & smart thinking. Obviously helpful also. Thanks a lot for sharing. God bless & good luck.